Find the Suspect: Extended Edition! Do you memorize people's faces well? Here you have a nice opportunity to train your memory by memorizing a certain number of faces. When a face disappears, you will see three answer choices. Choose a right face and go to the next level. 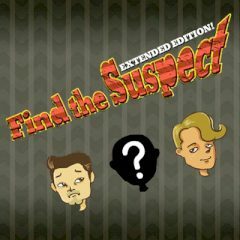 Games Similar Find the Suspect: Extended Edition!